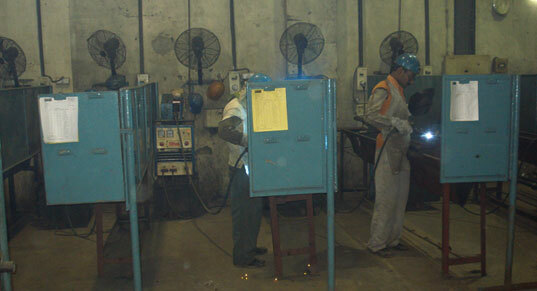 Fabrication as an industrial term refers to building metal structures by cutting, bending, and assembling. In our set up, the cutting part of fabrication is via CNC cutters (using a laser, or plasma). The bending is via hammering or via press brakes and similar tools. The assembling (joining of the pieces) is via welding. 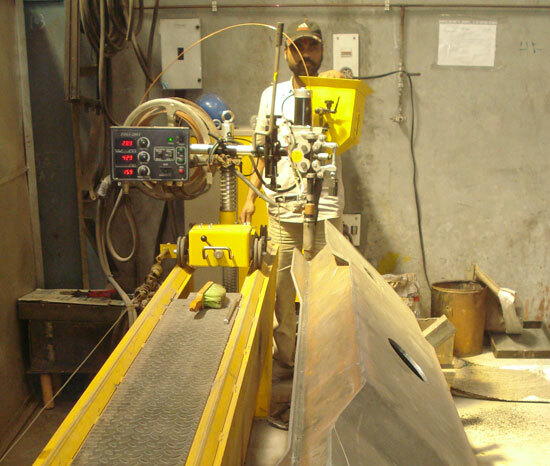 Light Fabrication includes a variety of sheet-metal forming manufacturing processes, such as punching using a machine press or stamping press, blanking, embossing, bending, flanging, and coining. This could be a single stage operation where every stroke of the press produce the desired form on the sheet metal part, or could occur through a series of stages. 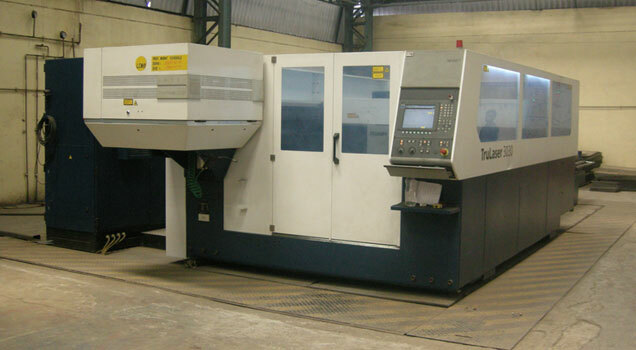 The process is usually carried out on sheet metal. 15 Power presses ranging form 30 Ton to 150 Ton. 6 Screw Presses ranging from 50 Ton to 200 Ton. 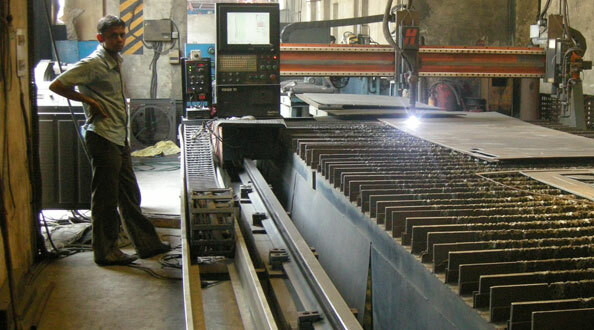 Hydraulic Brake press of 200 Ton. Hydraulic Press of 10 Tons. 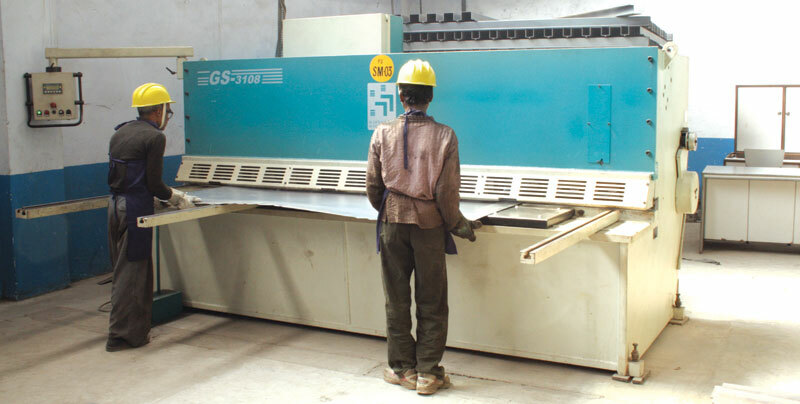 We have been prominent suppliers for Indian Railways since last 10 years & our Heavy Fabrication Shop is purely dedicated to the Railway Sector . Structural steel and sheet metal are the usual starting materials for fabrication, along with the welding wire, flux, and fasteners that will join the cut pieces. As with other manufacturing processes, both human labor and automation are commonly used. With the help of above equipment we are successfully making the complete wagon and other parts for Indian Railways.It is worth to mention here that Indian Railways is highly quality stringent as human lives are involved.